These SOS™ kits feature CPP’s forged aluminum billet hubs with slip on rotors and Wilwood’s D52 calipers. The D52 is a direct bolt-on 2 piston replacement for the factory original single piston calipers and feature forged billet aluminum bodies and stainless steel pistons. Get the best stopping power for your classic Chevy with this kit while keeping your wheels in the same location as the drums. AFCO is proud to announce the release of our new Pillar Vane rotor program. 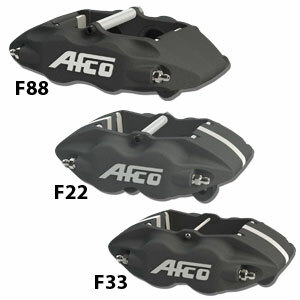 AFCO continues the commitment to bring new and innovative brake components to the racing community. Wilwood has released new redesigned versions of its FNSL6R six-piston and FNSL4R four-piston Forged Narrow Superlite Calipers. 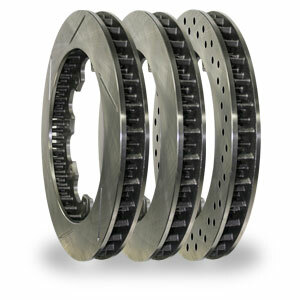 The calipers now offer an improved appearance, as well as added strength and durability through the use of stress-flow forging processes, according to the company.